Investing Psychology + Website explores several different types of behavioral bias, which pulls back the curtain on any illusions you have about yourself and your investing abilities. This practical investment guide explains that conventional financial wisdom is often nothing more than myth, and provides a detailed roadmap for overcoming behavioral bias. 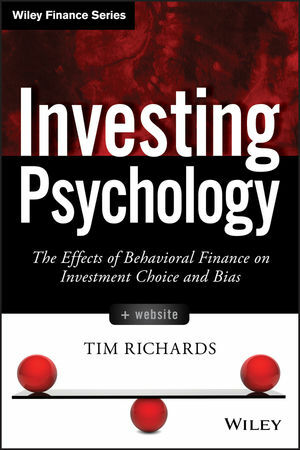 TIM RICHARDS is the creator of the Psy-Fi Blog (www.psyfitec.com), a unique website dedicated to analyzing, explaining, and integrating the vast body of research on the impact of psychology in finance. As a uniquely focused resource for behavioral investing, the website attracts as many as 25,000 unique visits a month and is regularly featured in the largest information aggregators and websites in the financial industry.